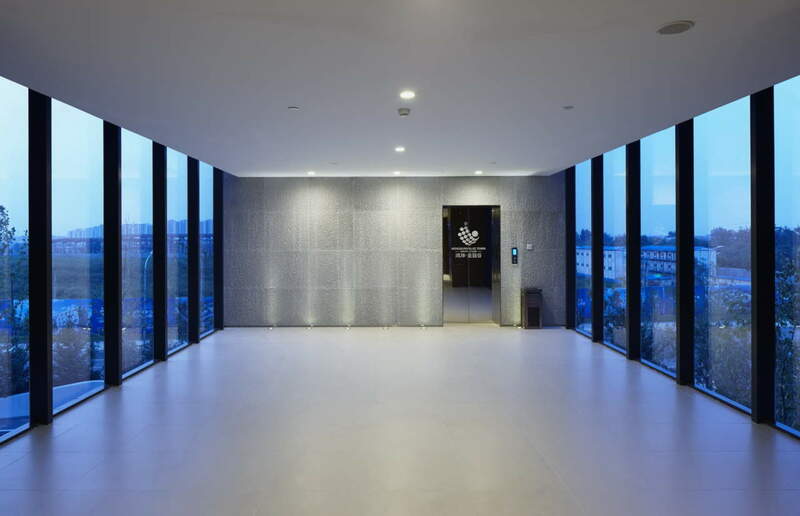 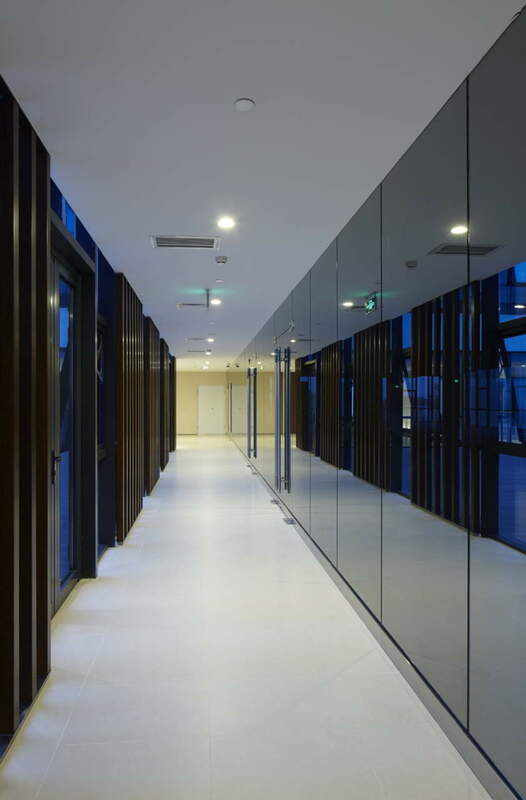 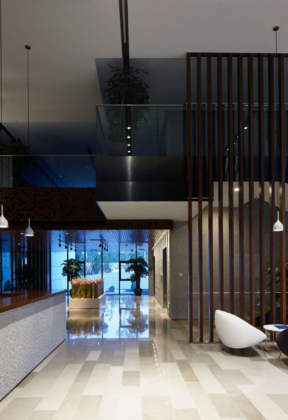 The Hongkun Financial Valley Project is located in Xihongmen, Daxing District, Beijing. 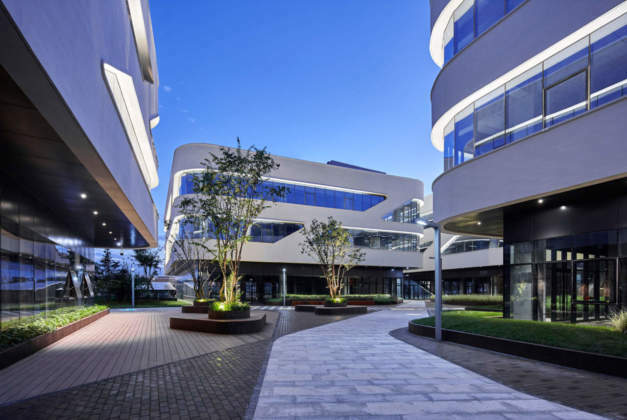 The overall plan is designed with “the office oxygen bar “ as concept to create a pleasant garden-style office environment with an area of 80,592 sqm and a construction area of 145,158 sqm. 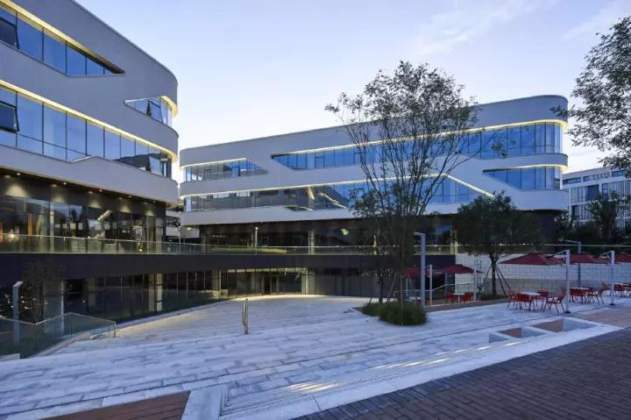 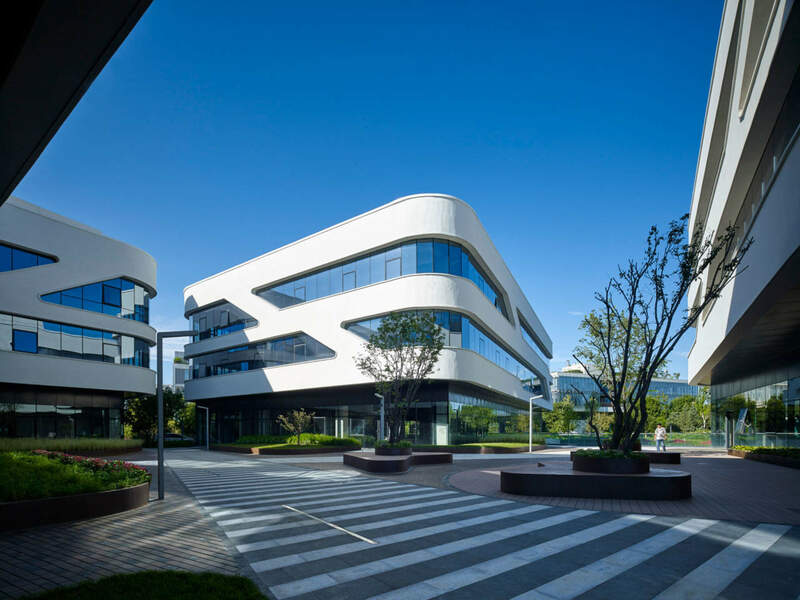 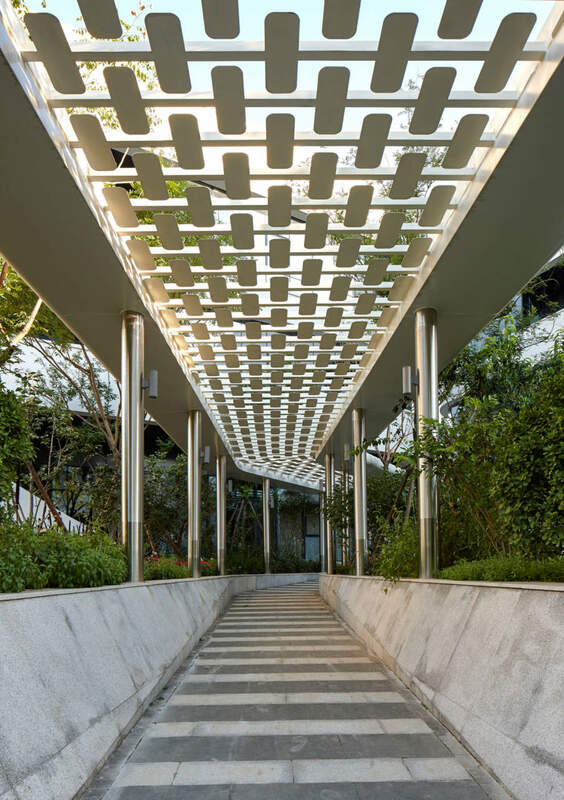 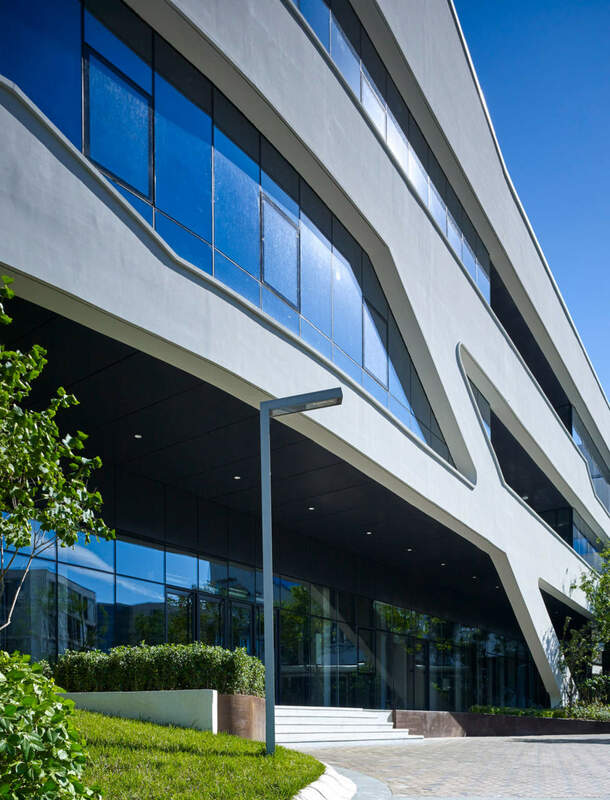 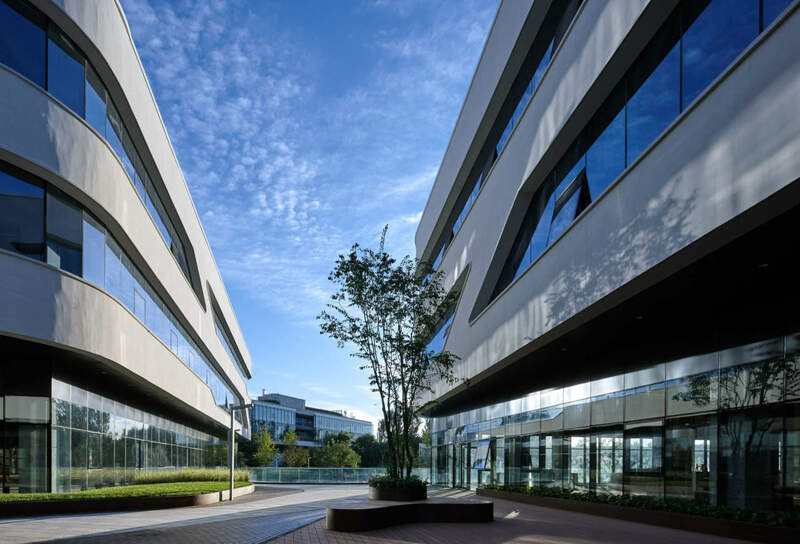 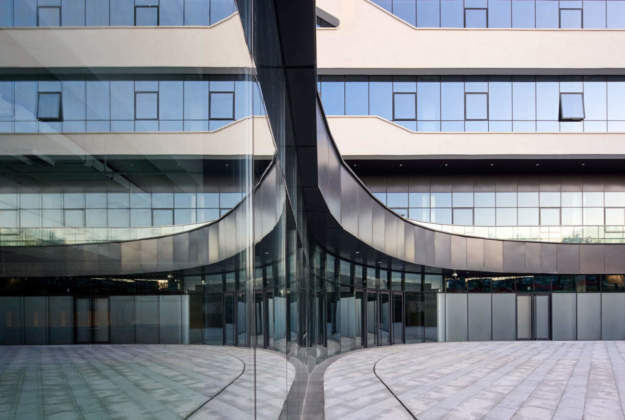 The Beijing Hongkun financial valley project has made different attempts and innovations in functional, spatial and five-sensory experience design, taking the construction itself as the most economical space energy saving device. 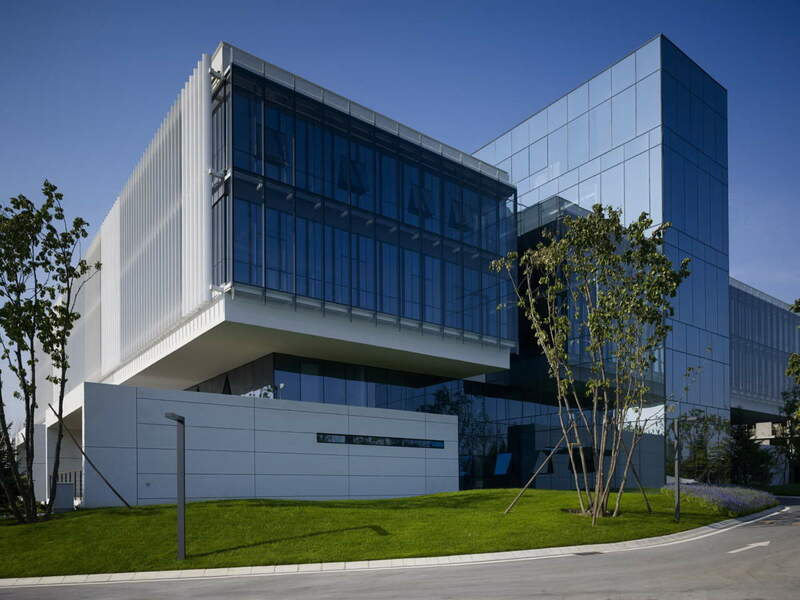 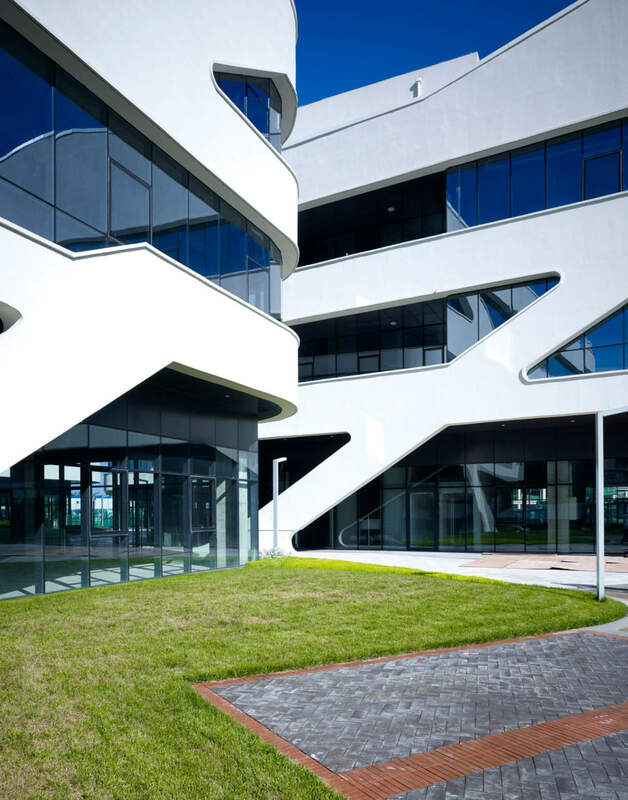 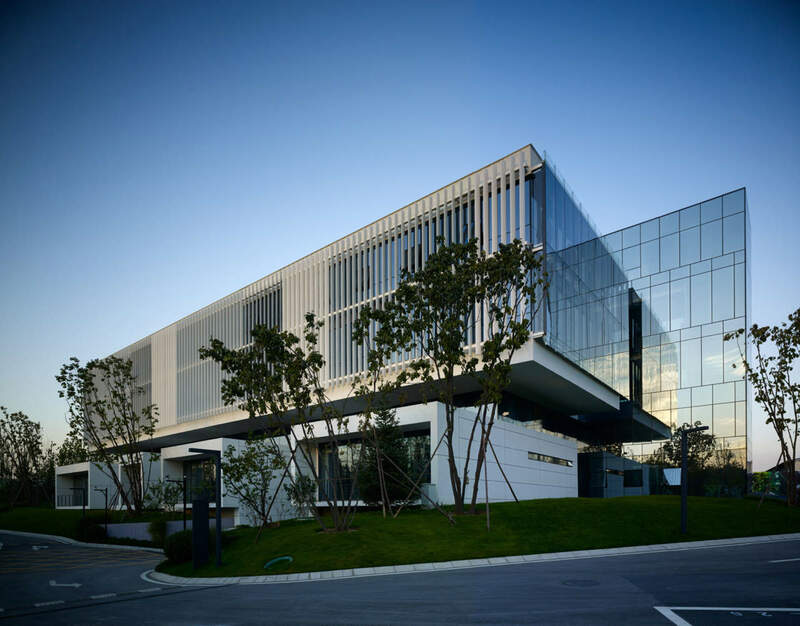 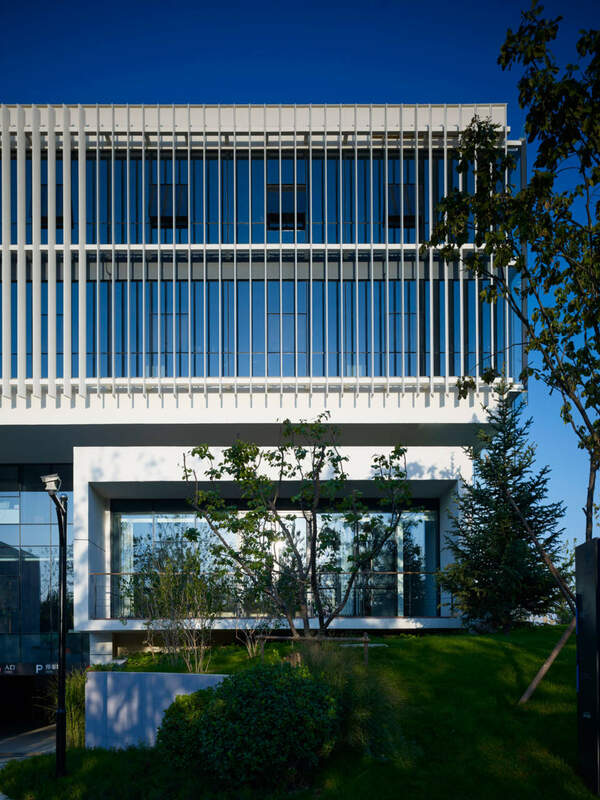 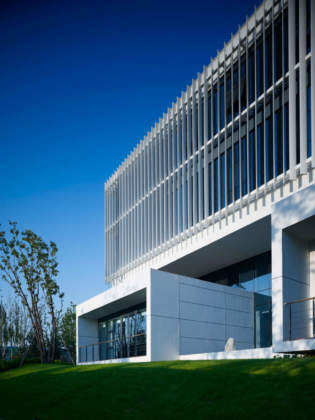 To create a comfortable office environment through the rational use of energy saving technologies such as respiratory curtain walls, midcourt air flow guidance, electric baiye sunshade, geothermal pump and soil greening, which achieving a perfect combination of intelligent green building system with architectural design. The construction area of the demonstration building is 11,895 mq, with 3 floors above ground and 1 underground floor. 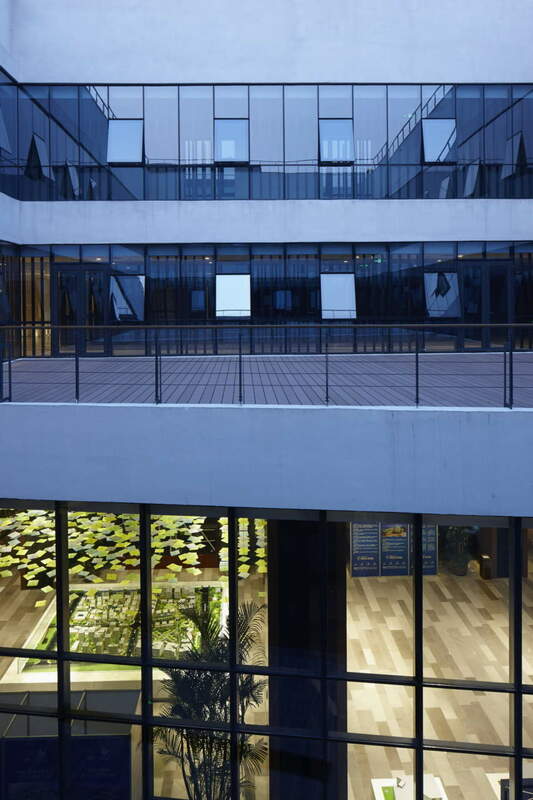 The office is a large-scale box, located on the second and third floors of the building. 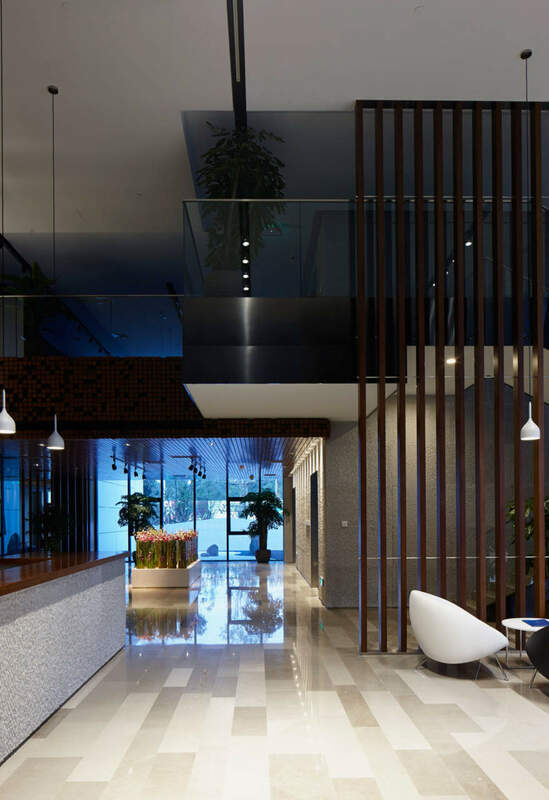 The first-floor space holds the office function in an orderly combination of eight functionally different small boxes, and the functions are organically combined through the atrium. 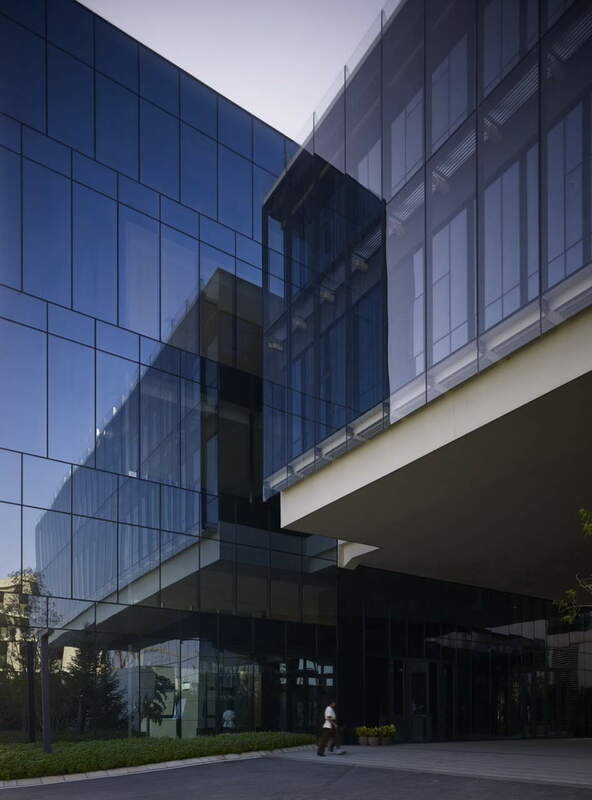 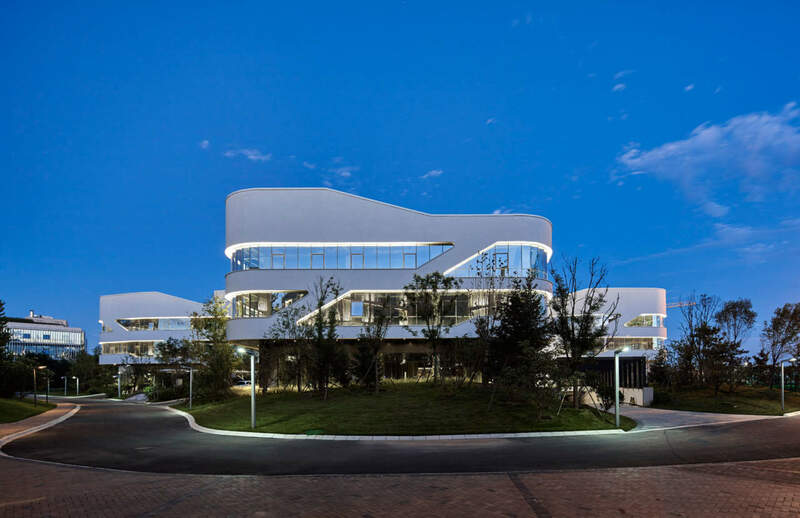 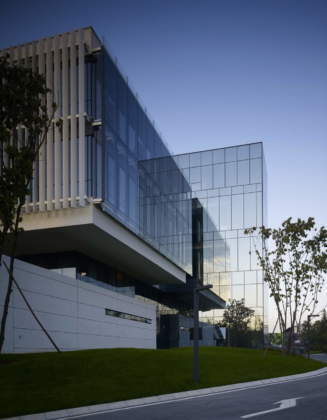 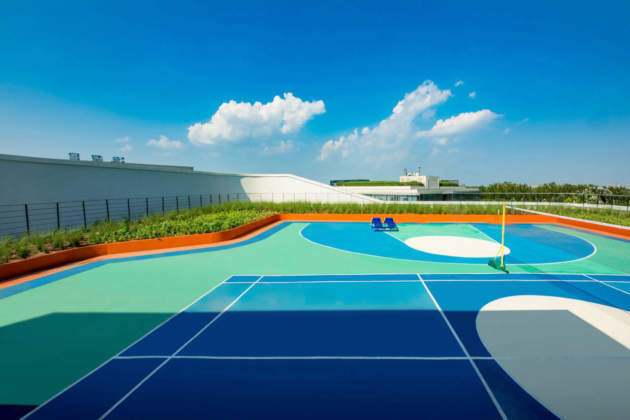 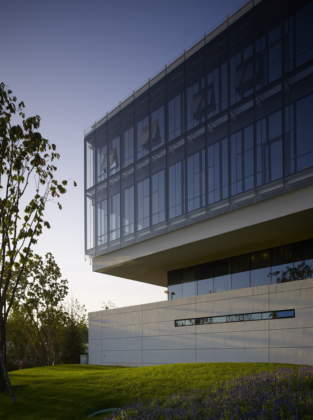 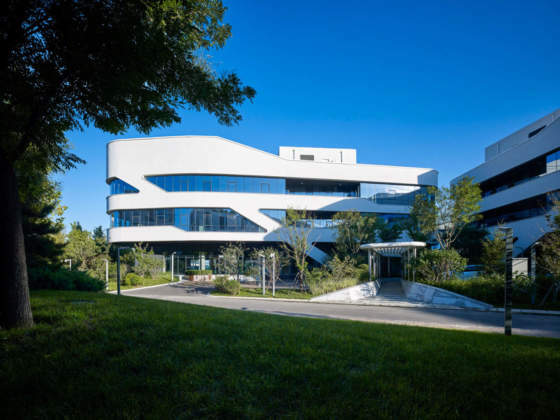 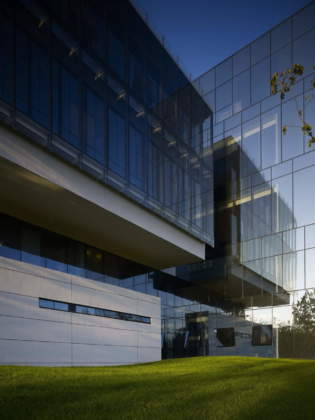 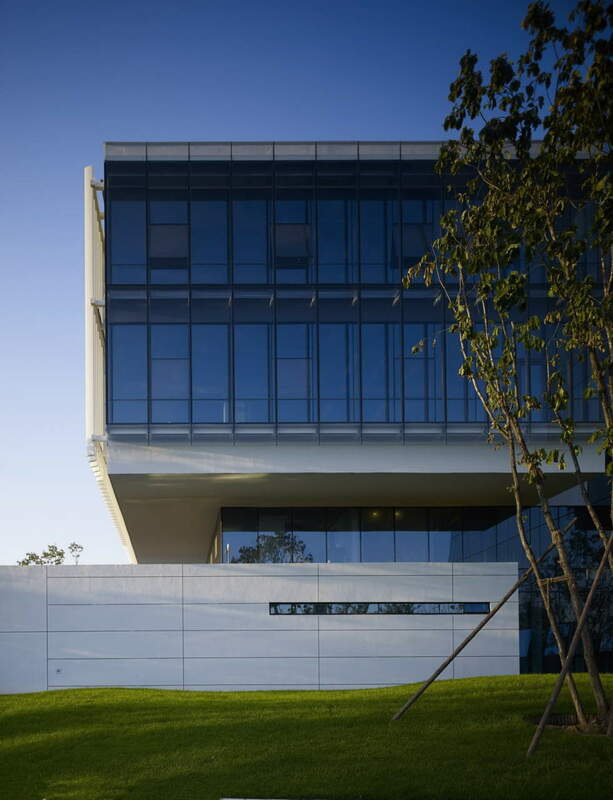 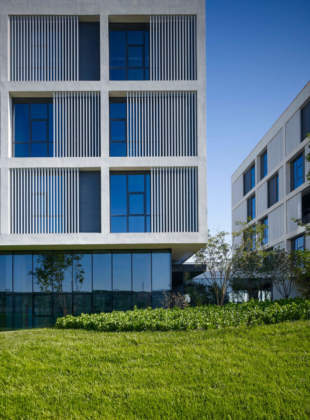 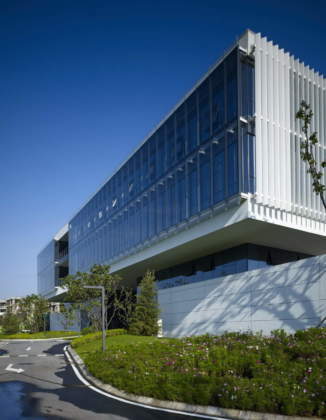 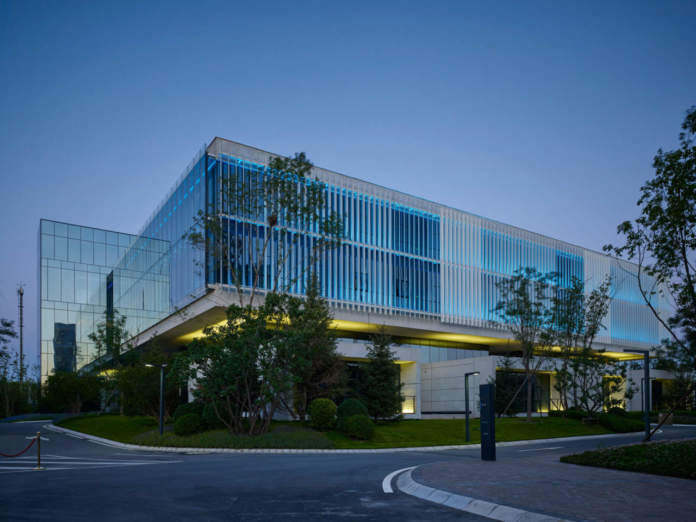 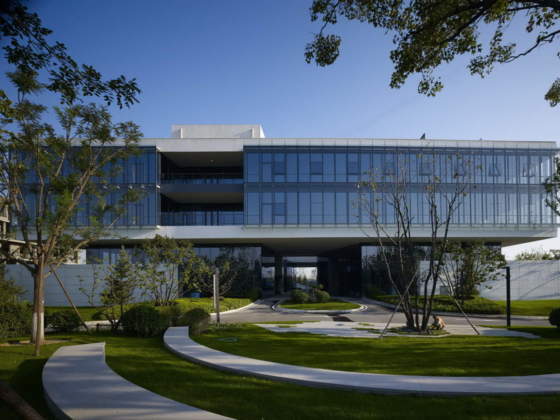 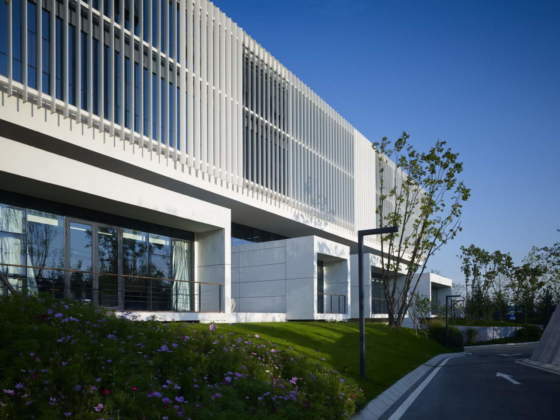 Relying on the terrain, the building is connected to the surrounding environment through green slopes, making the building appear to be located above the park and become a green and energy-saving seed in the park. 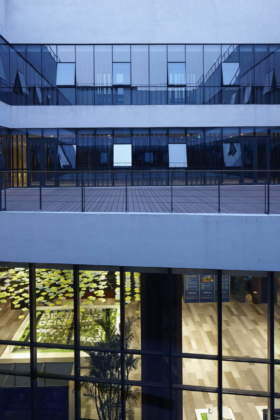 The grey space is combined with the atrium space, the terrace is combined with the roof garden, and the space is smart and exquisite. 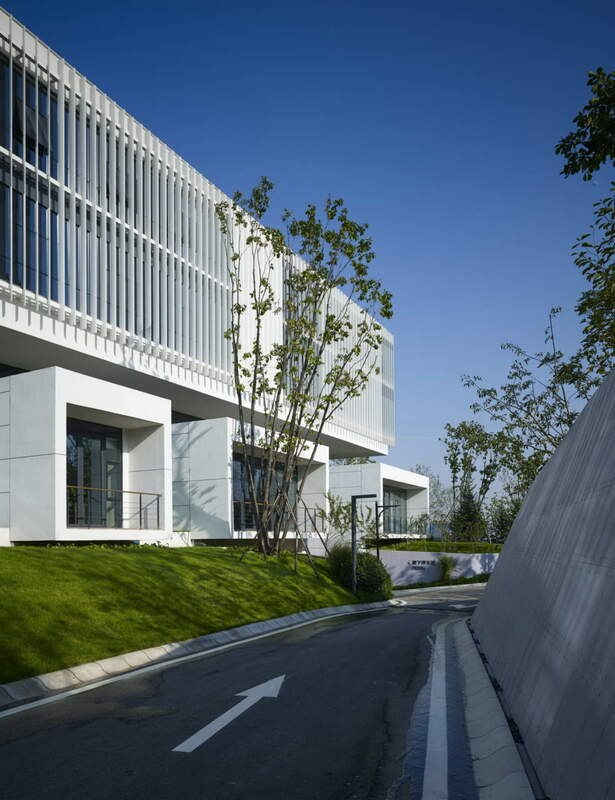 The white wall is lined with swaying trees and shines on sunny days. Respiratory curtains reflect the ever-changing light and shadow, showing different attractive colors in different days and times; the demonstration building consists of a number of independent functional unit boxes, each with its own personality.